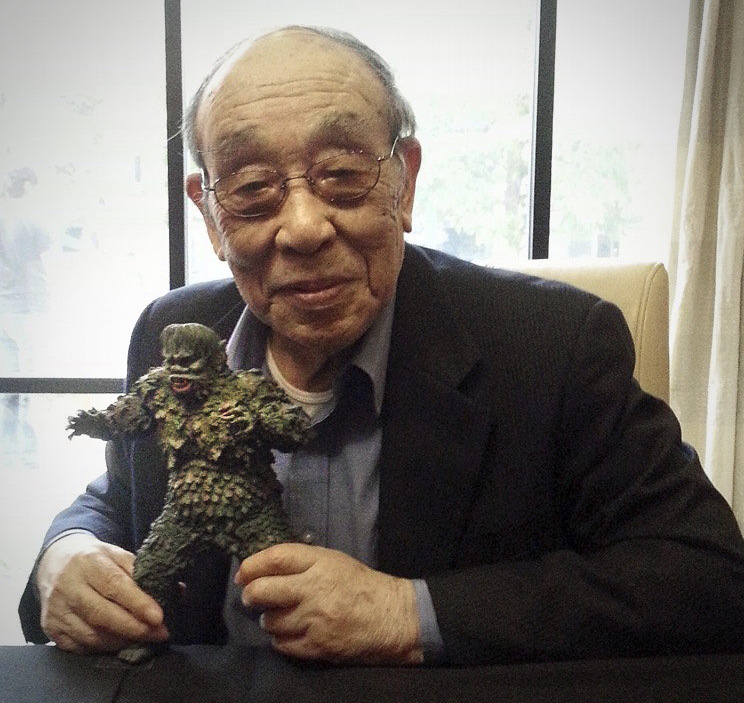 Godzilla suit actor Haruo Nakajima (中島 春雄) posed with this X-Plus Toho 30cm Series Gaira for collector Dell Champagne Martinez this weekend at the Monsterpalooza convention in Burbank, California. 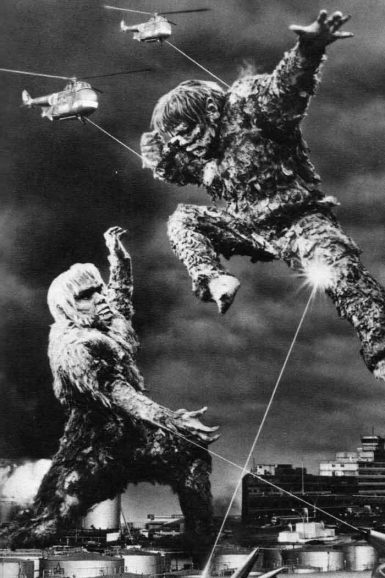 Nakajima-san is mostly known for wearing the Godzilla suit from 1954 to 1975, but he also dabbled with other kaiju. 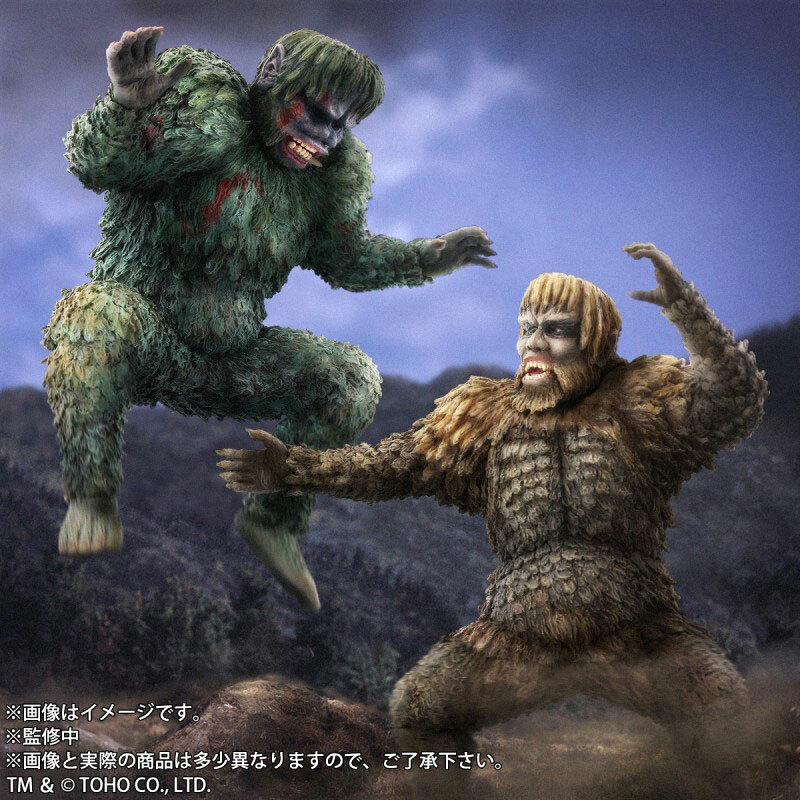 He wore the Gaira suit in The War of the Gargantuas (フランケンシュタインの怪獣 サンダ対ガイラ) in 1966. 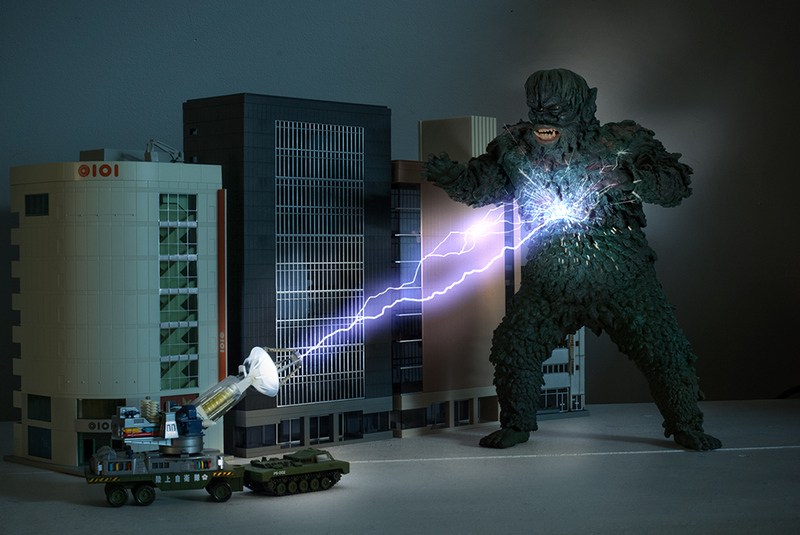 I wonder if Dell had trouble getting his X-Plus figure back. 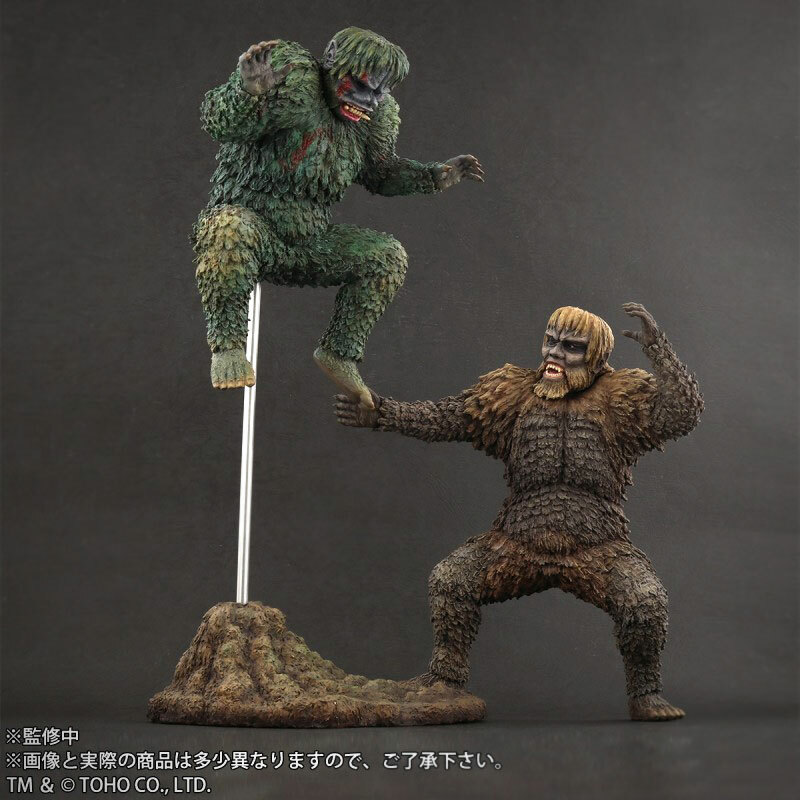 Nakajima-san doesn’t appear to want to let it go! 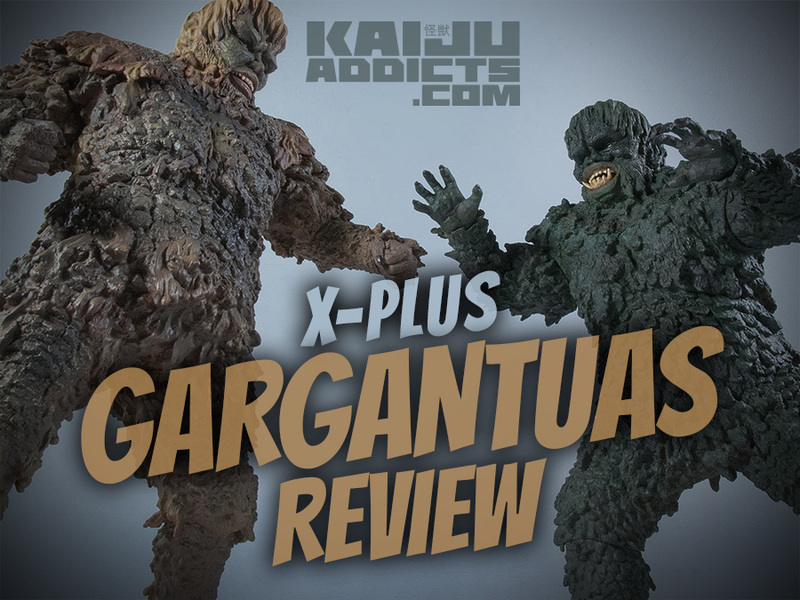 See my Kaiju Addicts X-Plus War of the Gargantuas Vinyl Figure Review. By John Stanowski|2017-05-28T07:58:07-04:00March 30th, 2014|Categories: X-PLUS NEWS|Tags: 30cm, Gaira|Comments Off on Nakajima-san and X-Plus!